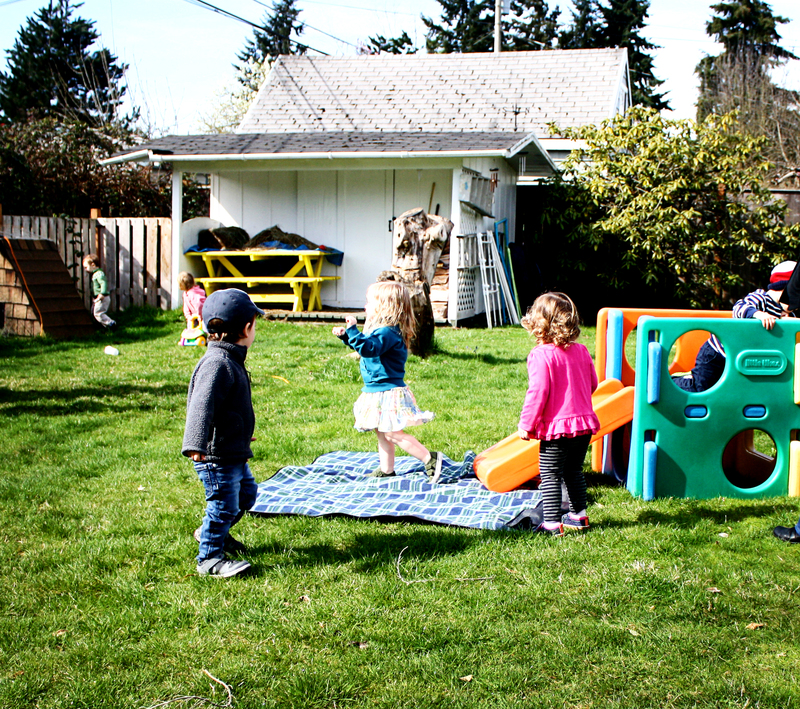 I’ve written about our magical playgroup before (here and here and here and here), so you understand how much I love this group of kids and their parents. I’ve also written about Novruz before (Here and here and here and here and here), so you understand how much I love this holiday. 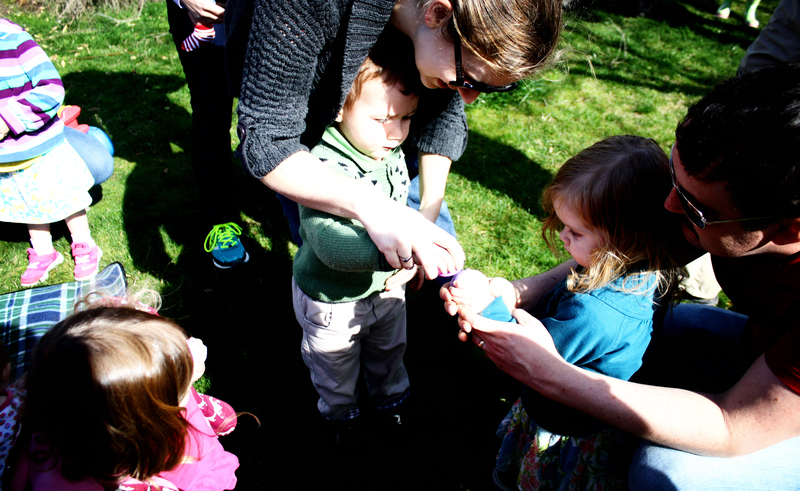 This year we had a beautiful, sunny day to have Alma’s (and Harriet’s) friends over for some egg-dying, fire-jumping, egg-cracking fun. 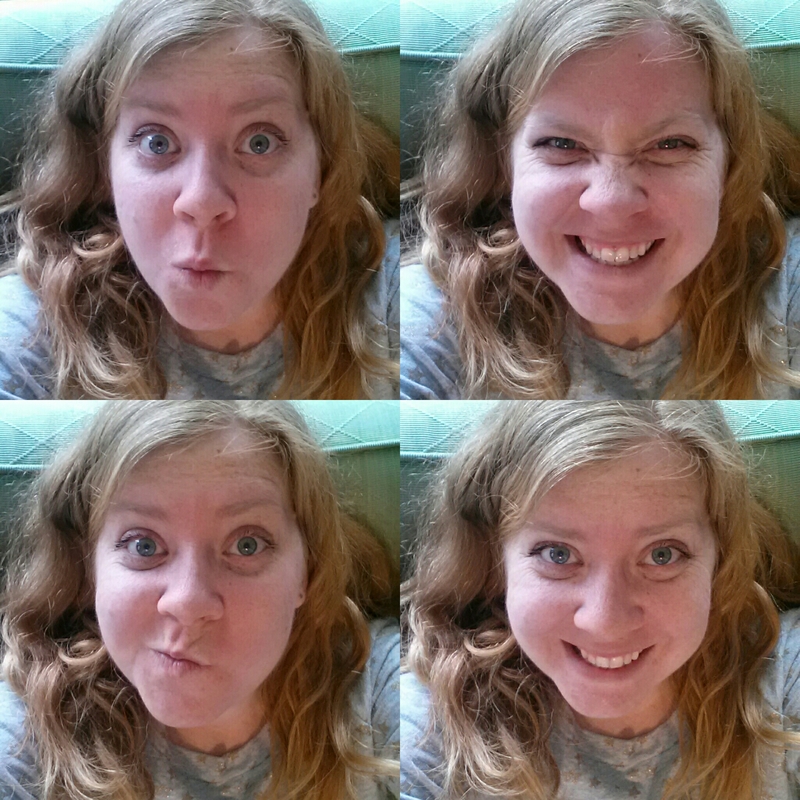 Obviously, we took a lot of photos. We started with eggs. It was much less frantic than last year. 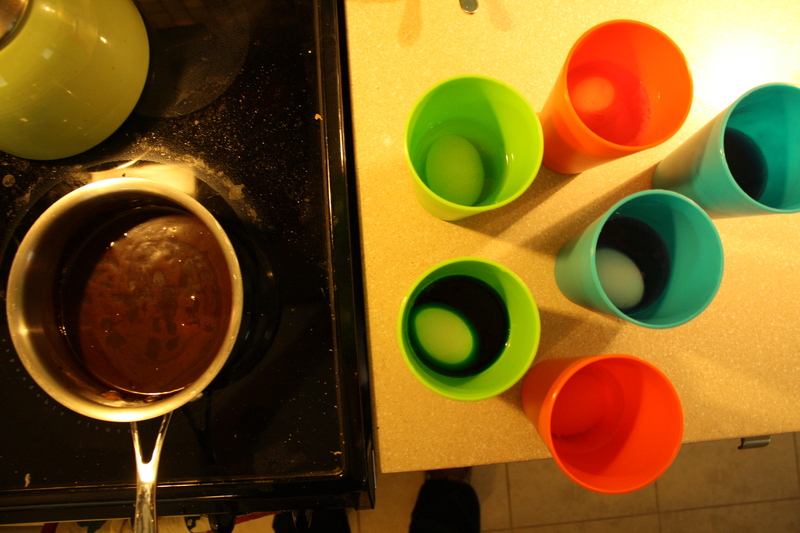 Partly because it was nice enough to dye outside, so I wasn’t as worried about spills. I still felt like I had to keep a careful eye on Harriet. She wanted all the eggs. 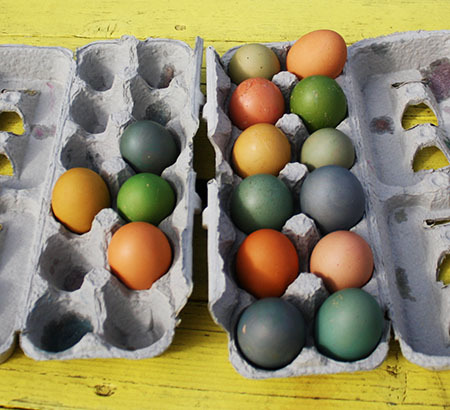 We used our backyard eggs this year, and I love how the brown eggs turned out. They are beautiful, right? Muted and moody and earthy. 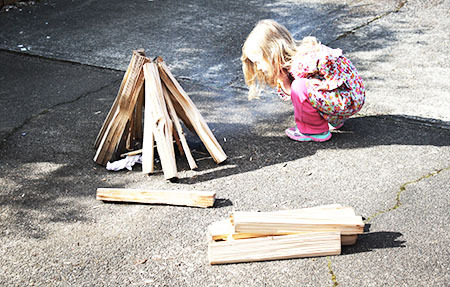 Next, we went out to start the fire and do some jumping. Jesse and Anthony (and Aster) were our fire-masters and got a good fire going. We need to remember marshmallows next year! 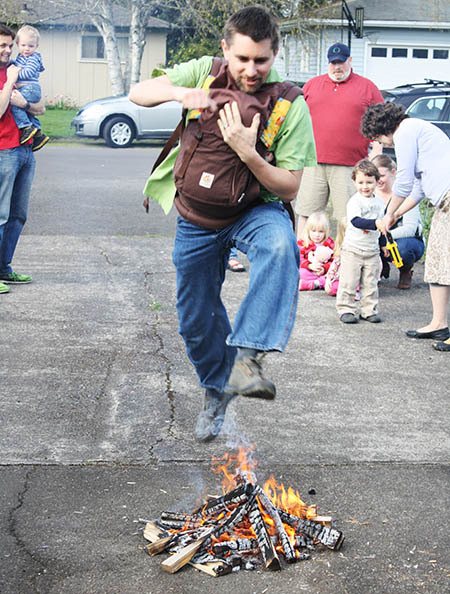 When the fire had died down a little bit, we got to the jumping going. It’s fun to see the kids get into this. I also love how we can get a whole group of people saying Ağırlıgım- uğurluğum bu odda qalsın! It’s so great to share a bit of Azerbaijan and our time in the Peace Corps with our friends. Hello Peace Corps third goal! Aren’t those some joyous faces on those fire jumpers? Love it. Next came the egg cracking game. I’m pretty sure Hannah won this year. Is that right? You can see her below studying the strategy so she could swoop in and win it all. After eating eggs and Azeri baklava, the kids had a great time dancing and playing while the grown-ups enjoyed some adult conversations. I love these people. 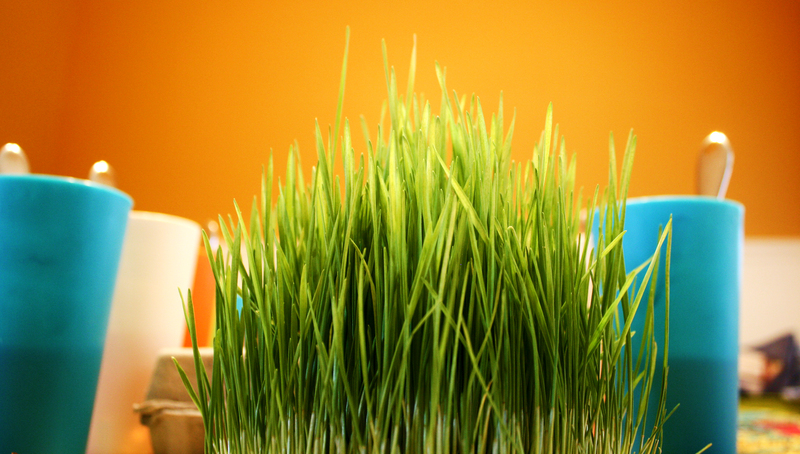 Happy Novruz, everyone! It’s spring! I love spring so much. The flowers, sunshine, the green. It’s my second favorite time of year, but every year at this time, it’s my favorite time of year. 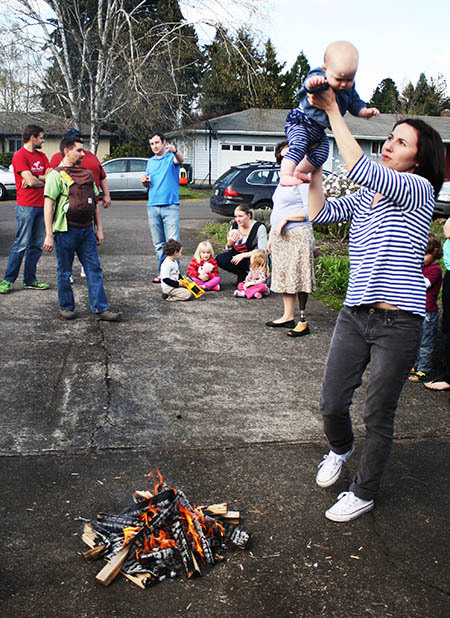 This year we had our playgroup over for a Novruz celebration. 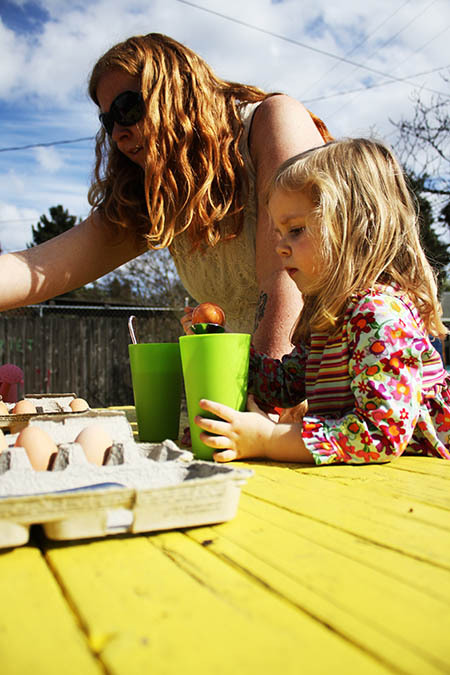 We started by dyeing eggs, which was a wonderfully frantic (and surprisingly mess-free) dash. 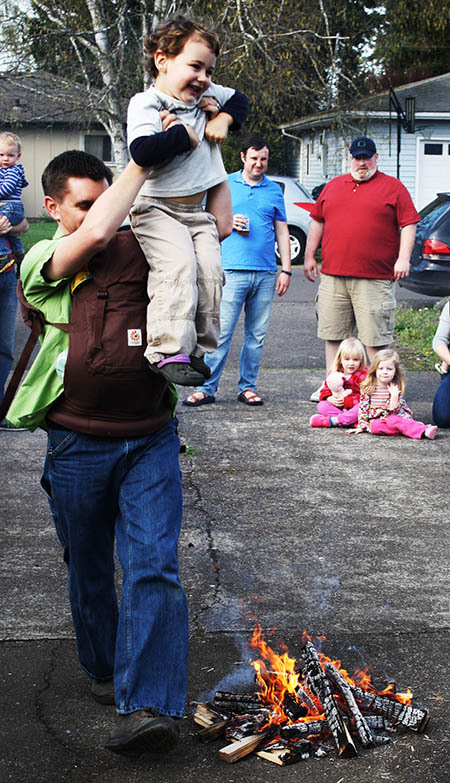 We had nine two-year-olds, and various aged babies along for the ride. 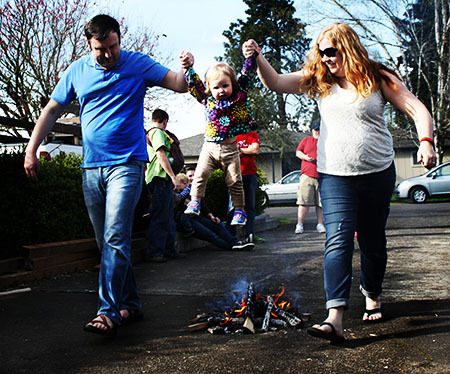 Jesse explained the meaning of Novruz – the toddlers listened very attentively – all the earth, wind, fire, water, rebirth, newness. 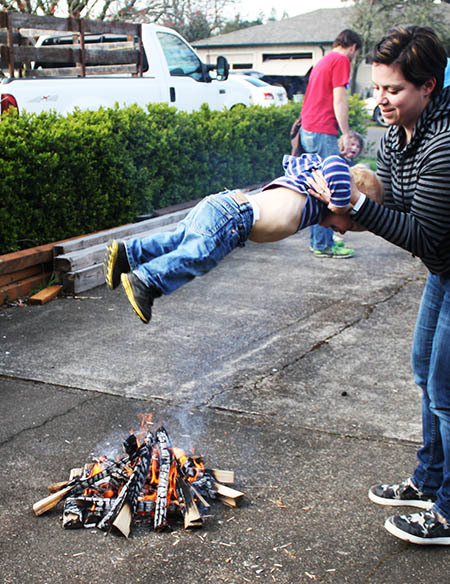 Then, we went outside to jump over the fire! 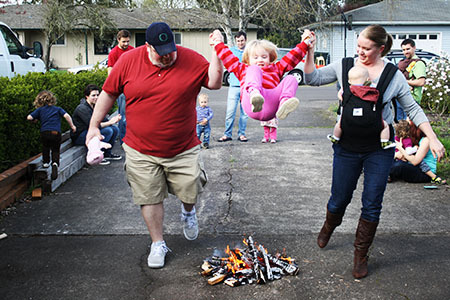 I love this ritual of leaving all our troubles, and worries, and problems in the fire. 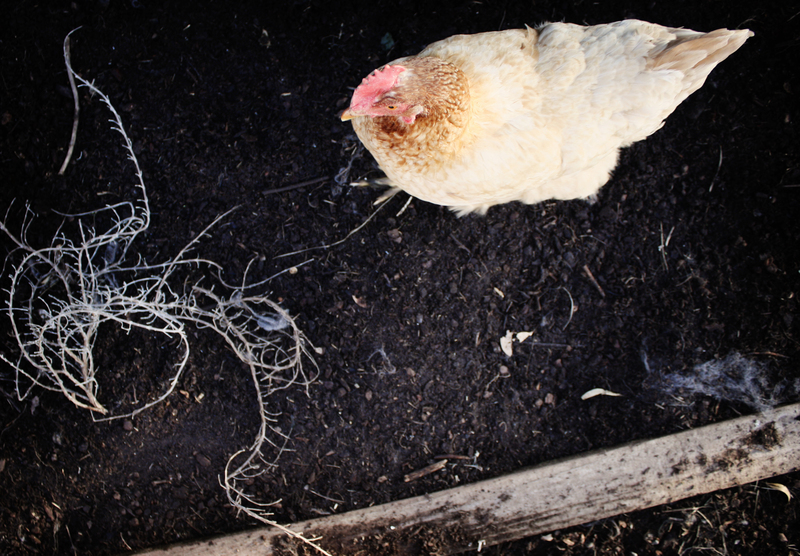 I’m always one for a fresh, clean start – especially when spring is springing. 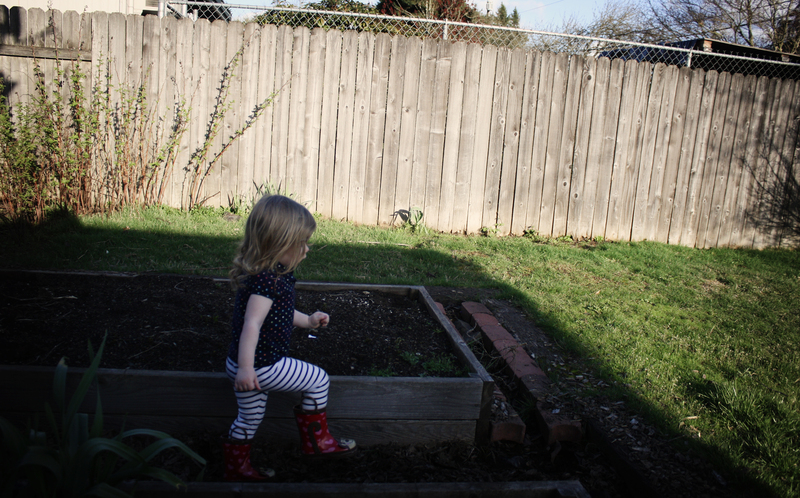 It was an amazingly beautiful day, so we all went to the backyard to play with all of Alma’s bikes, and her slide. It was perfect. 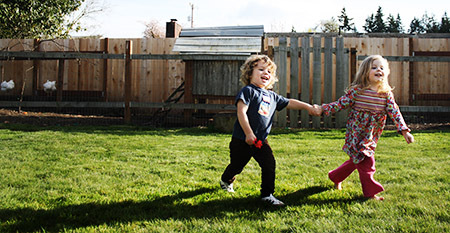 I love how our kids are old enough to pretty much just play. We don’t have to hover and help like we did last year at this time. It gives us grown-ups time to chat and catch up. We are so blessed to be a part of this great group of families. 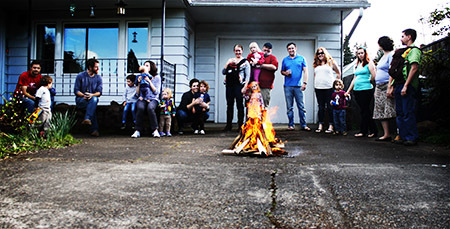 We all (pretty much) met through the Birth Center, where most of us had our first babies. 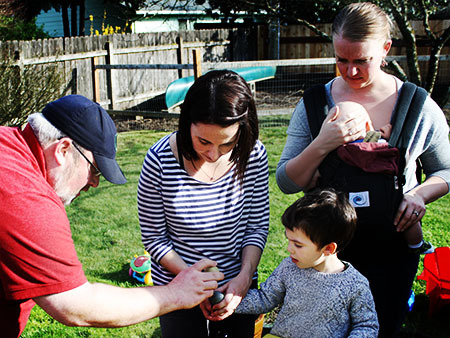 After getting to know each other at the weekly Baby Clinics, the idea was born to have a monthly playgroup. 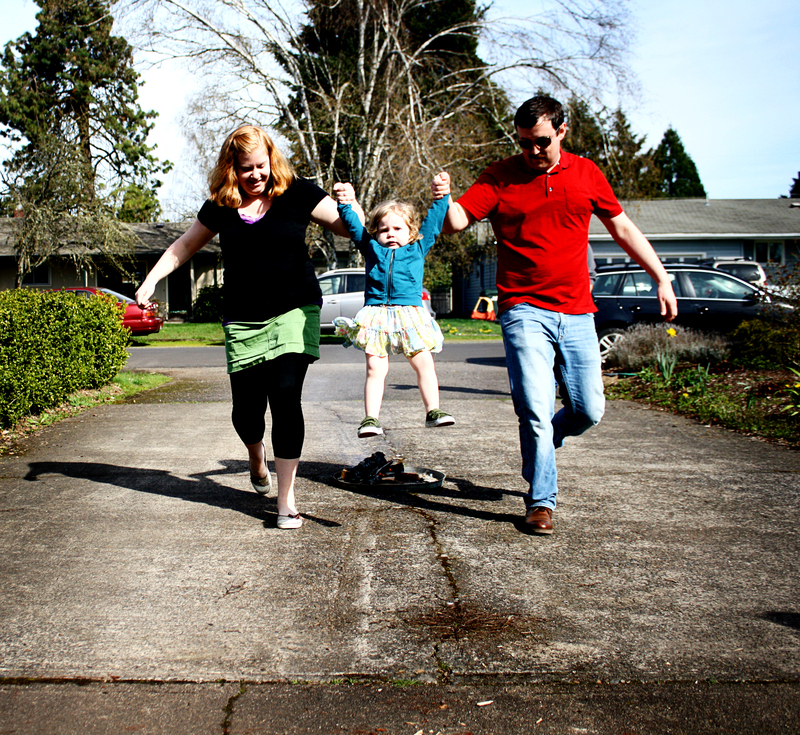 Not only do we all have two-year-olds, but most of us are on the second round these days, too. It’s wonderful. After playing for a while, we had to play the egg game. I think Alma’s friend Beatrix won this year. 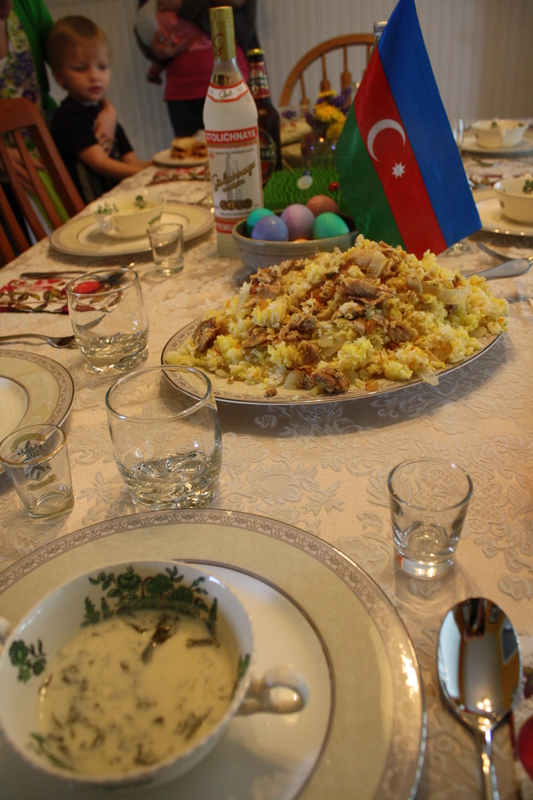 We were also really lucky to have our authentic Azerbaijani friend, Elvin up for the celebration. It’s fun having him so close this year (he’s studying in Long Beach, California). He’s a great dost, and both our girls truly love him. So do we. Spring is on its way. 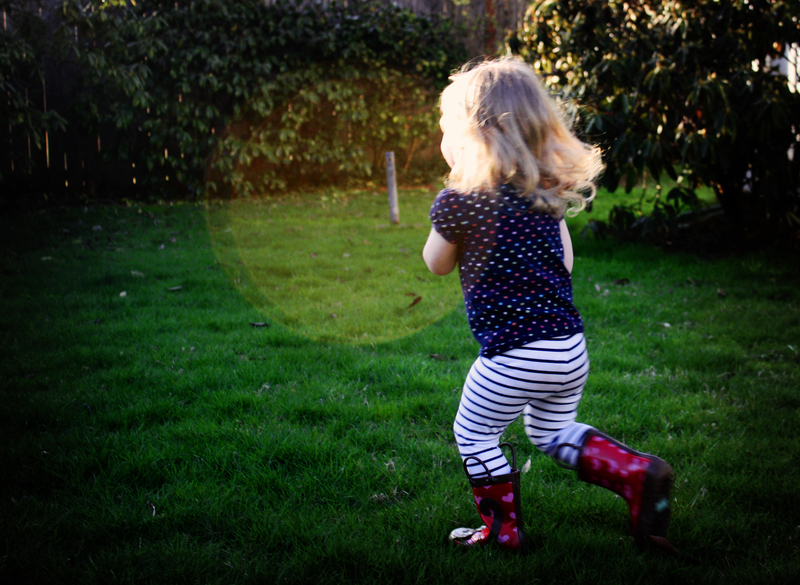 The extra hour of daylight has been a beautiful thing in our house. 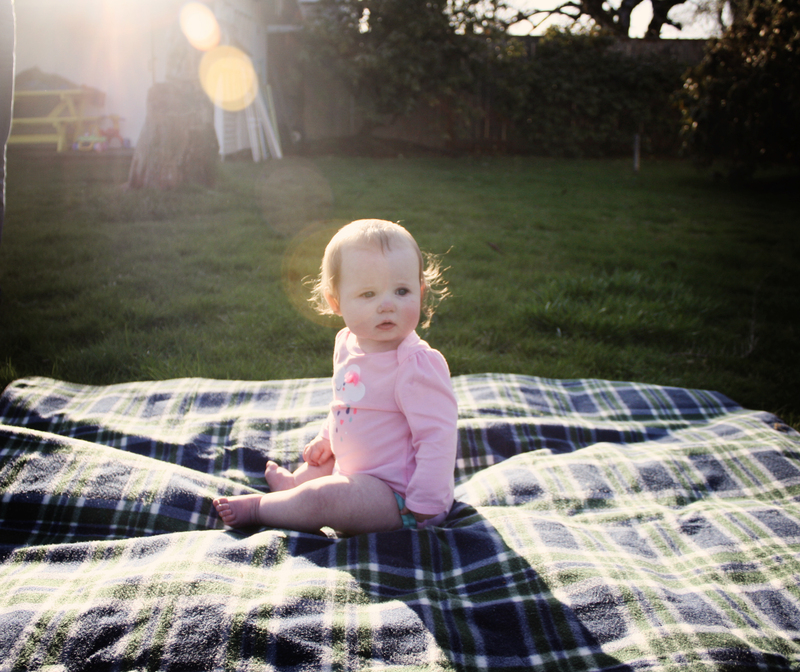 We are spending time in the backyard. The flower trees in town are amazing. I love this time of year. Our Azerbaijani friend, Elvin, came up so celebrate Novruz with us. 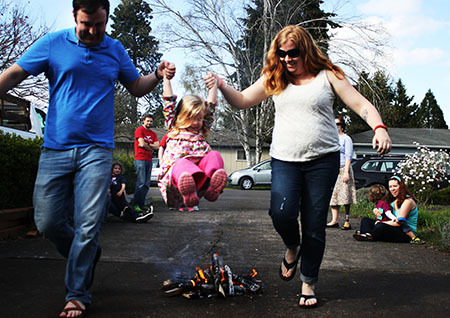 Look for posts about our toddler Novruz party later this week! When I lived in Azerbaijan, I got to try a lot of the traditional foods. 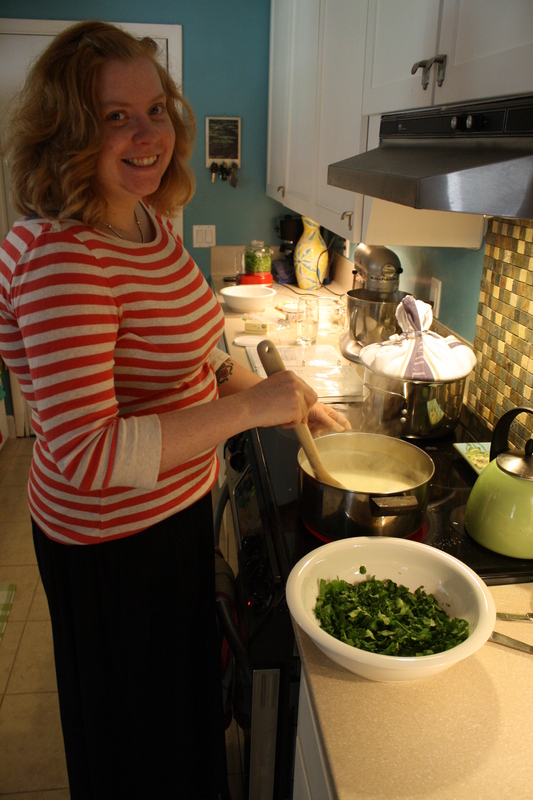 I guested at a lot of people’s houses, but I have to say my host mother was the greatest cook of them all. When we left, Jesse and I made sure we got some of Bibi’s recipes. Two that I make every Novruz are her plov and her dovga. 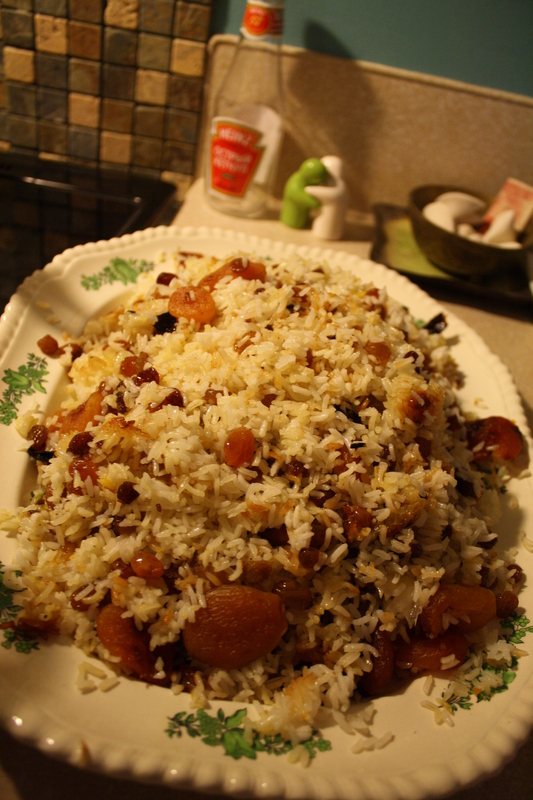 Plov is a rice pilaf with chicken, dried fruit and saffron. 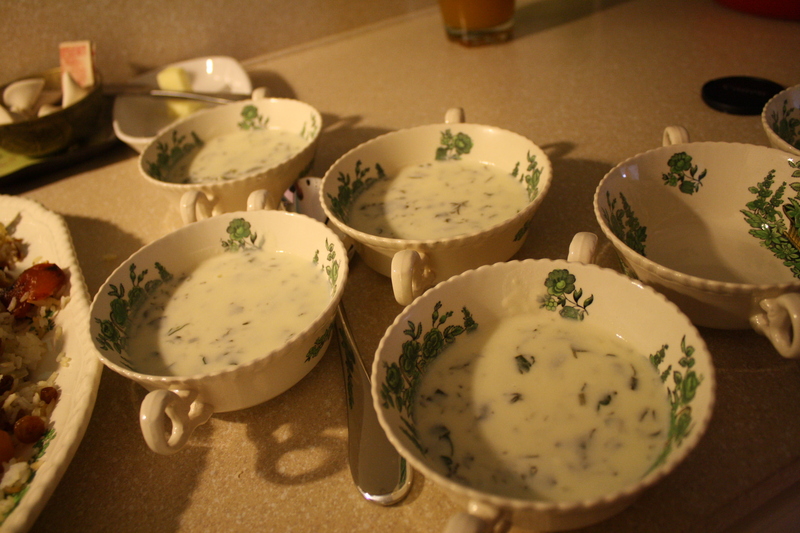 Dovga is a warm yogurt soup with greens. Yum. While I have to admit that my plov doesn’t hold a candle to Bibi’s, I think it gets better every year. I think the key (that I have somewhat neglected in the past) is copious amounts of butter. It just doesn’t get that true Azeri flavor if you skimp on the butter. This year we used a lot, and it was much better! While my plov doesn’t measure up, my dovga is awesome! Dovga is one of the things that volunteers either loved or hated. I hated it. Until I tried Bibi’s. Seriously, I could barely get dovga down most times, but when Bibi made it, I couldn’t get enough! I don’t know what it was, but I’m so glad she shared her recipe with me! Jesse also made cutlet, which you can see in the following photo. This isn’t really a traditional Novruz food, but it’s an American pleaser since it’s just ground beef, lamb, herbs and onions pan fried in patties. Good stuff! Prepare rice like normal. While rice is cooking, prepare the chicken in a frying pan. 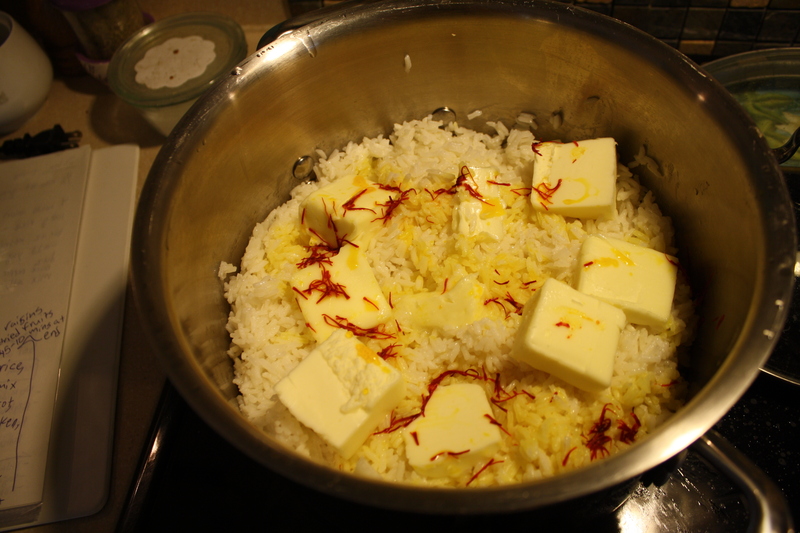 When rice is almost done, strain, put in a bowl, add 2 ounces butter and set aside. Mix eggs and yogurt in a bowl and spread on the bottom of a large pot. Sprinkle with about a cup of the rice. Pour chicken juices over the rice, arrange the chicken in a single layer. Put onion slices over the chicken and top with remaining rice. In a small bowl, dissolve the saffron in 2 tablespoons hot water. Pour this over the rice. Cut 1 or 2 sticks of butter over the rice. Seal the pot tightly with a towel, put pot over low heat for 1-2 hours. Add raisins and dried fruit 5-10 minutes before plov is done cooking. Cut up greens and set aside. In a small bowl, mix rice and egg. In a large bowl mix yogurt, water and flour. 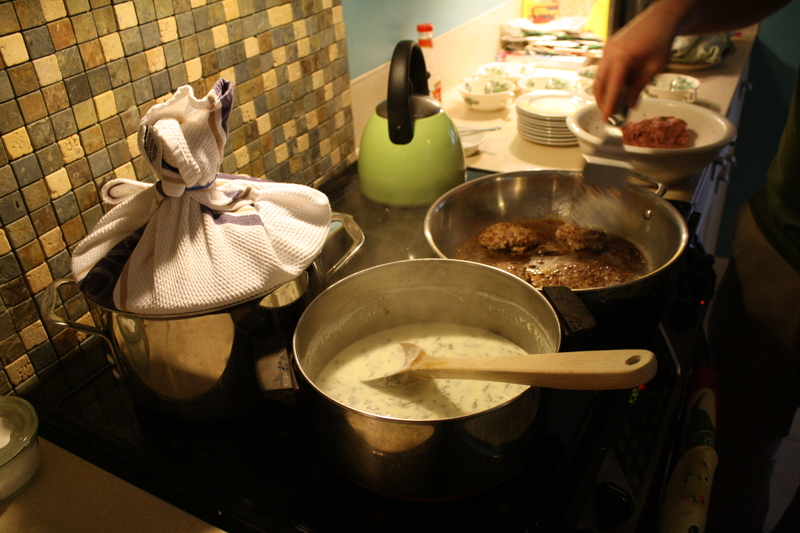 Add rice to yogurt mixture and put on stove. Bring to a bowl, stirring constantly. When rice is soft, add greens and keep stirring. When greens are soft serve in small bowls or glasses, with or without spoons. Oh my gosh, my mouth is watering! It’s that time of year again. Actually, it’s a little after that time of year, but hey, we were busy! It’s Novruz!! 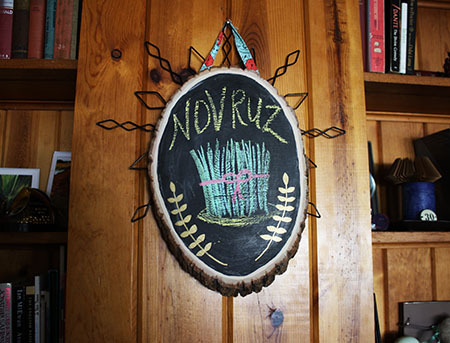 Novruz is my second favorite holiday of the year (Christmas is just slightly better). 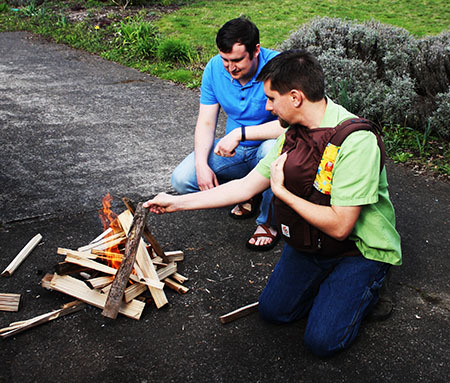 Jesse and I first learned about and celebrated Novruz while we were in the Peace Corps in Azerbaijan. It celebrates the new year that begins on the first day of spring. You can read more about it here. 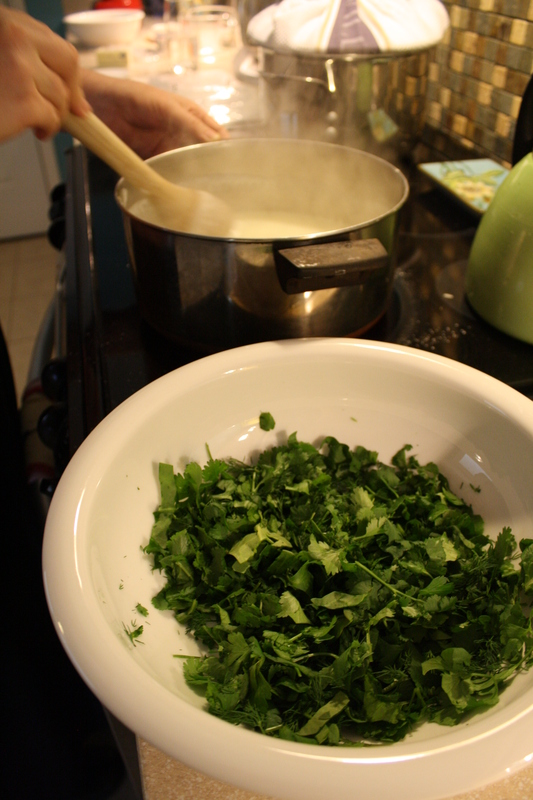 Alma and I spent about an hour today working on our first preparations for our 3rd annual Novruz party. 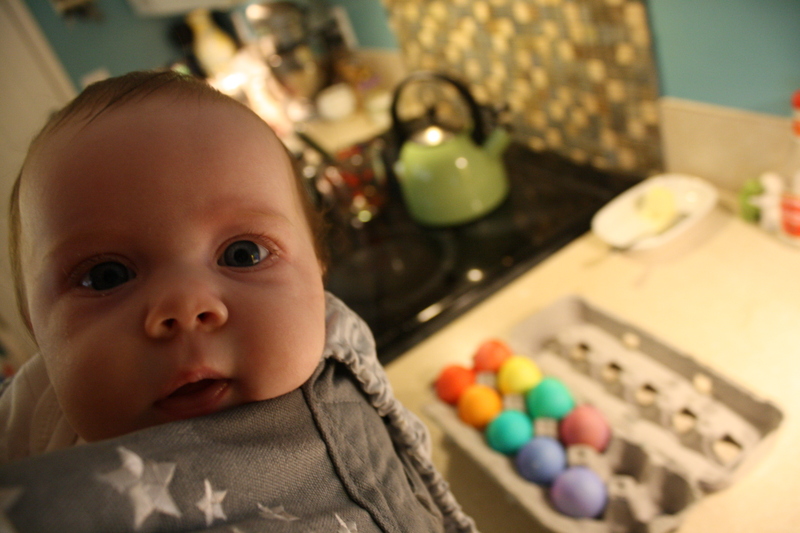 Alma helping me make chocolate syrup, Novruz eggs and empty the dishwasher. 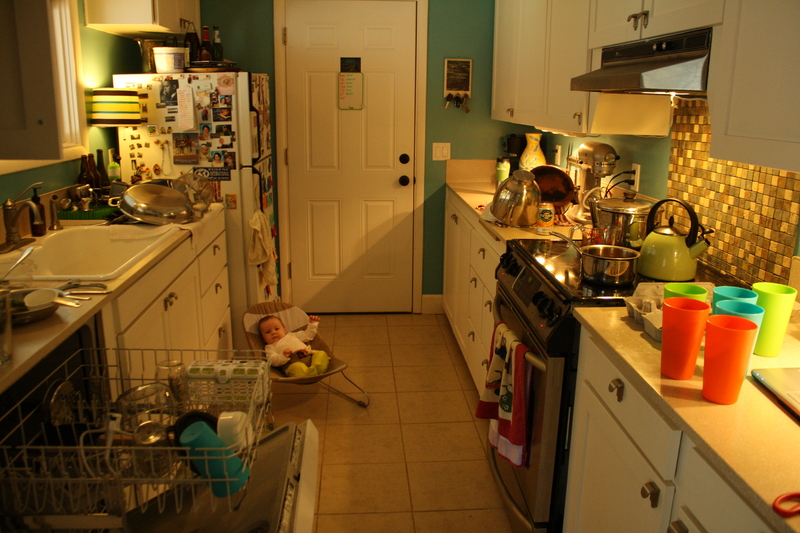 To keep up with my goal of using my time in the kitchen wisely, while the eggs were cooking, I also made a batch of chocolate syrup and worked on cleaning up some of our dishes. Women in Azerbaijan work very hard to provide an amazing feast for their families. These feasts might happen on each Tuesday before the equinox and an ever bigger feast on the equinox. Like I said, Azerbaijani women work very hard. I started my prep by hard boiling 10 eggs and dying them. Not too hard for the first round of prep. I love that eggs are part of this Islamic celebration. It really reminds me how truly connected and similar Islam is to Christianity. If only everyone could see it that way. 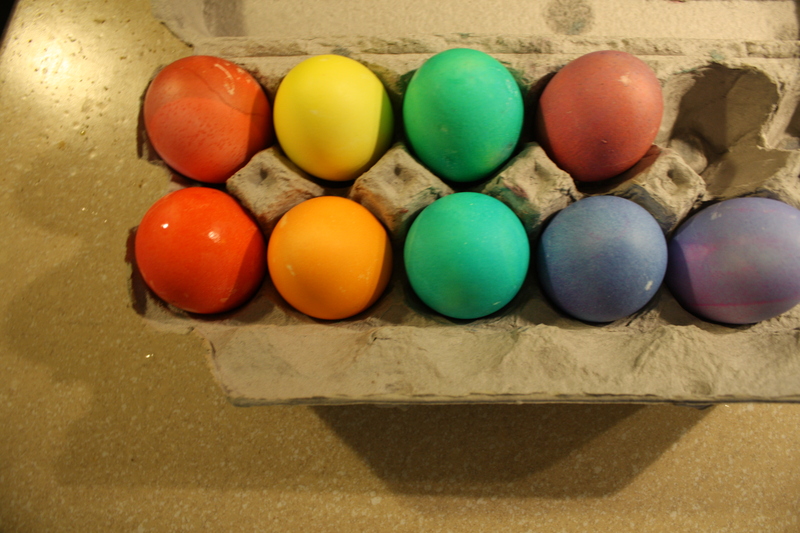 Like Easter eggs, Novruz are dyed various colors. 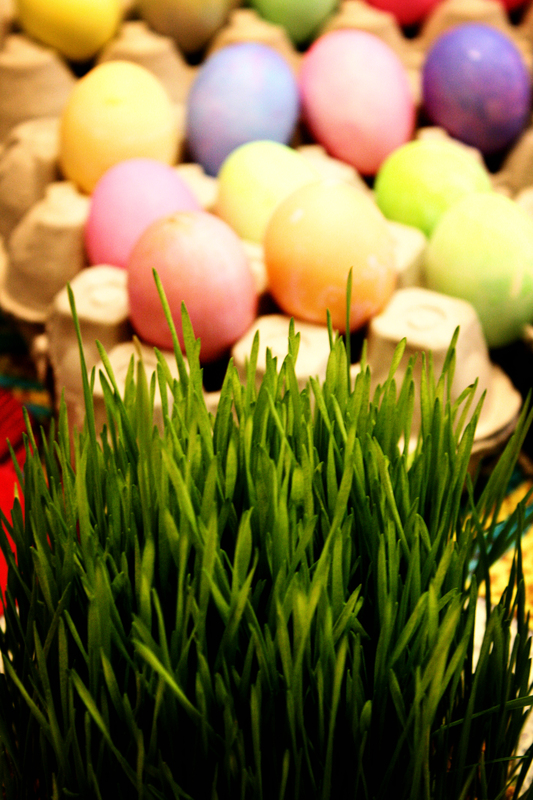 While Easter eggs are hidden and found, Novruz eggs are part of a different game. 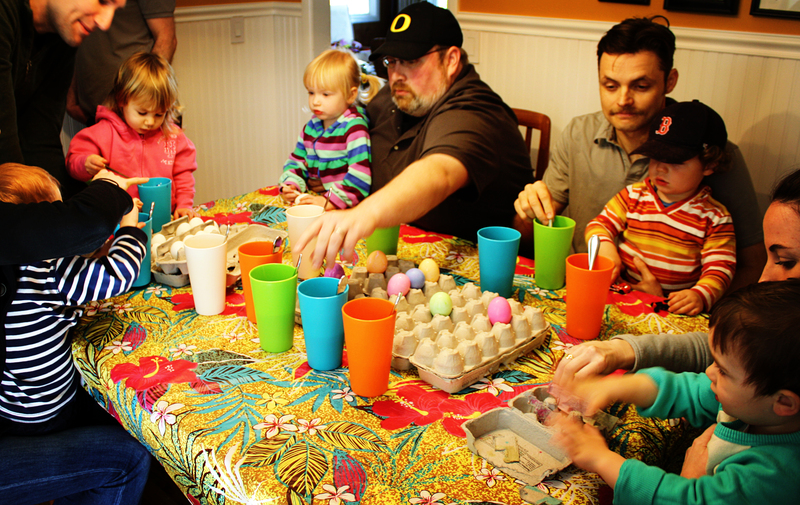 Each person picks an egg, then people go around the table trying to break each others’ eggs by tapping them together. The person who has the unbroken egg in the end is the winner!